Redheart yarn in Cherry and White and a size "I" hook. * Main color set-up and **Main color row from the this post at the Purl Bee website. Great youtube video on "end of row" color change here. Although this is not the granny stripe stitch/pattern I used, it will show how to change colors. R W R R W R R W R R W R R W R R W R R W R cut yarn(The first and last “clusters” are more like a partial cluster.) 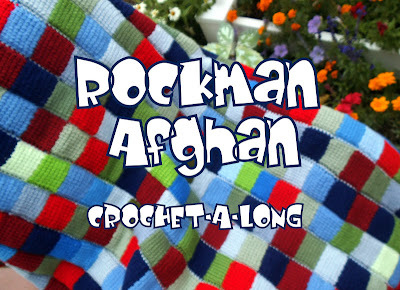 With color change, hold other colored yarn behind and carry. Cut yarn at end of row and begin next row at other end (do not turn the rows where you use both colors in one row – this will keep the yarn carryovers on the same side of the piece. W W R W W R W W R W W R W W R W W R W W R cut yarn(The first and last “clusters” are more like a partial cluster.) With color change, hold other colored yarn behind and carry. Cut yarn at end of row and begin next row at other end (do not turn the rows where you use both colors in one row – this will keep the yarn carryovers on the same side of the piece. Join with single crochet in red. Leave opening for washing ease and finish off with buttons . This is what the back looks like on the R & W rows. I could not figure out a work around...that's why this project ended up as a pillow instead of a blanket. I'm thinking that there is no work around...this is sort of the way knitting turns out too, right? Très belle réalisation, le passage des fils est vraiment discret, félicitations !! Thanks so much for sharing the pattern. I may crochet one like it for Christmas. Hola Astri es bellisimo!!! adoro la combinación del rojo y blanco te quedo divino para este invierno que viene seguro que tejeré algo en esos colores me encanta tan alegre ☺ un beso Sandra. What a gorgeous pillow! I don't know any better ways to "carry" the non-working yarn - especially on an open granny-type stitch like this. Very nice work. ps There's a giveaway on my blog, would you like to join? :) www.acreativebeing.com! 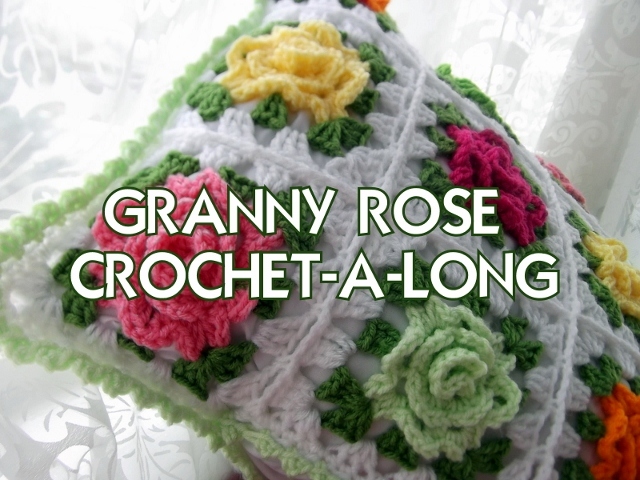 it looks so lovely.I like your crochet very match. it looks so great.I like your crochet. Love this pattern, and not difficult to whip up! 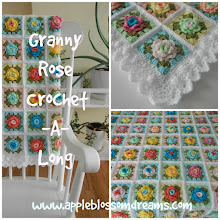 Stop by my blog for lots of great crochet projects too! all the best! Oh so lovely! I hope to make your pattern soon for my oldest daughter's master bedroom. She will love it. Thank you so very much for sharing! Lovely Blog. I will visit often.